This year we are offering 2 day Workplace Conflict Workshops for HR Practitioners and Leaders/Managers. These workshops are fun, fast moving and packed full of practical, real-world approaches and tools. The workshops are delivered by Rachael Brady and Nina Harding. 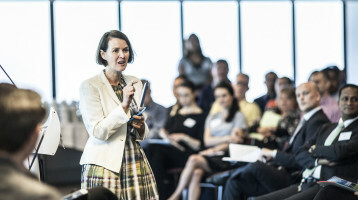 Our 2 day Workplace Conflict workshops can also be delivered as in-house workshops. 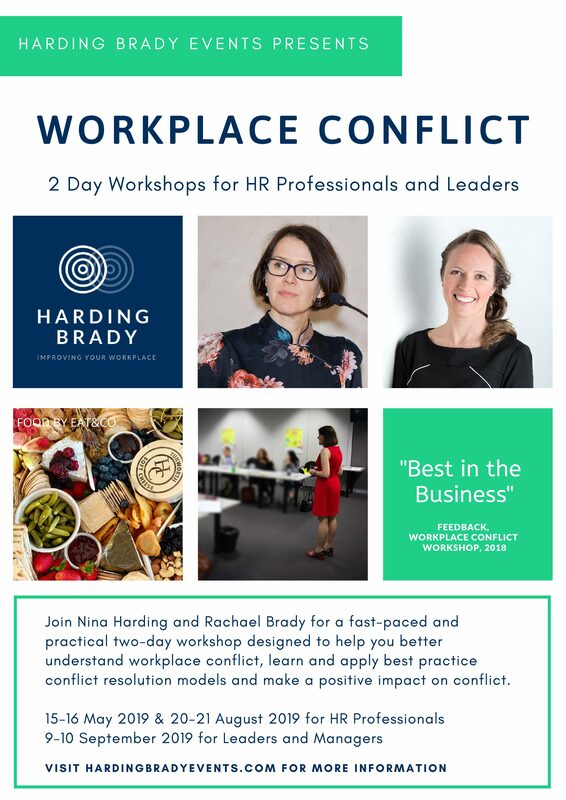 A one or two day in-house workshop providing skills, tools and insight into conflict at work. We use story telling, video clips, exercises and role-plays to teach, inspire and innovate.